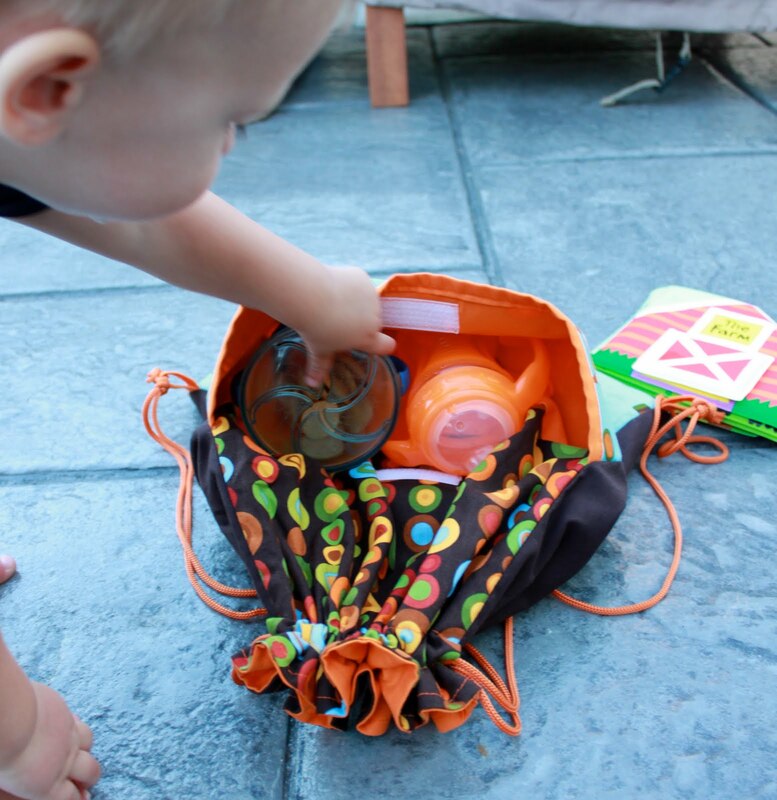 Peanut Butter is starting a PlayDays program this fall. He is going to "school" 1 day a week for 3 hours of playtime with other kids. 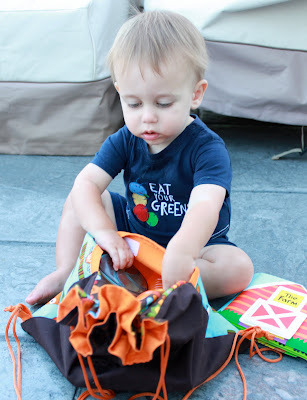 I wanted to make him a backpack to hold his diapers, a change of clothes and his artwork when we leave. 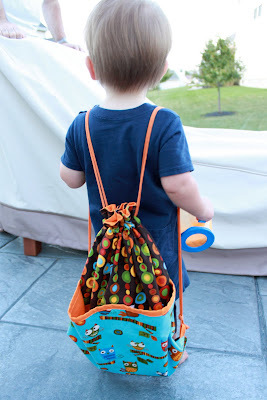 I saw this backpack from khaki pants tutorial over at Noodlehead back in February and tagged it because it is such a cute idea!! Sadly my husband didn't have any khaki pants that he was ready to part with so I used fabric instead. But next spring closet cleaning, it is on! 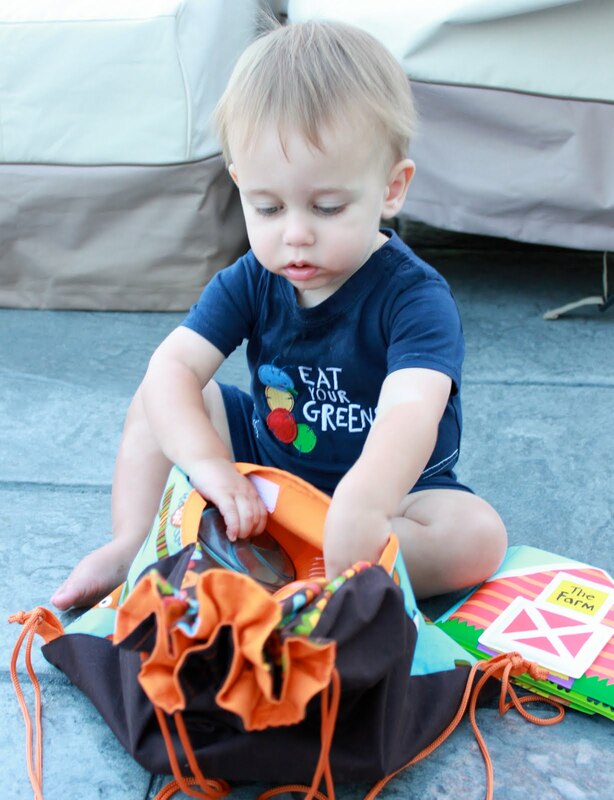 The bag is so big on him!! I made one change to my backpack, a large front pocket. I wanted a large, easy access pocket for Peanut Butter's sippy cup and snack cup. I used plain expresso for the back of the bag. The orange cording I got from another drawstring backpack that was $1 at JoAnns. 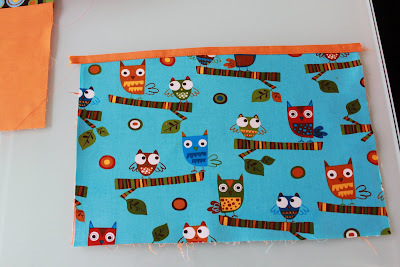 I had to use owl fabric. 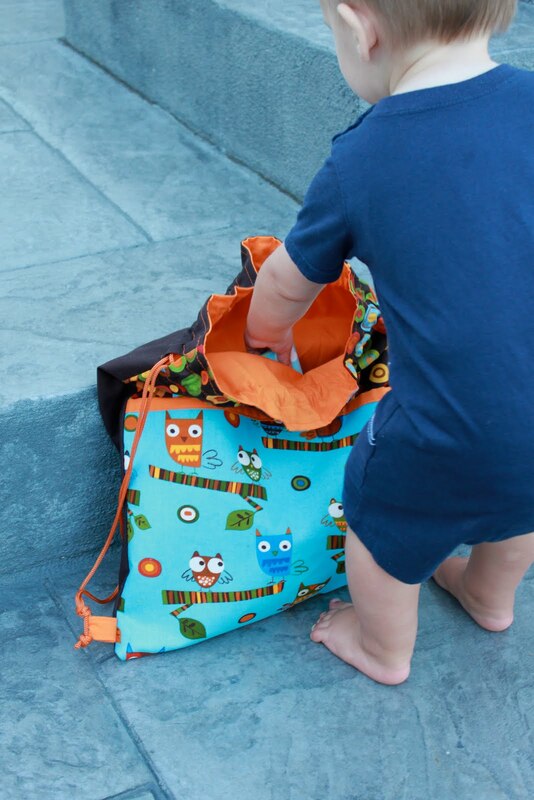 Peanut Butter says "owl" every time he looks at the bag. Love him!! Follow this tutorial over at Noodlehead to make your own. It is so easy! Instead of khaki pants for the front outside of the bag, I have 2 pieces of fabric sewn together. 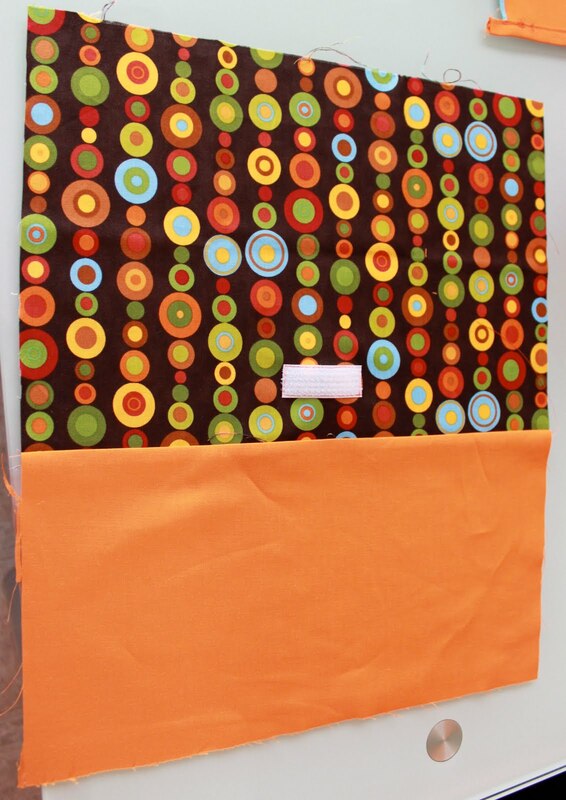 The circle fabric is 10X15 inches and the orange fabric (for the inside of the pocket) is 8X15 inches. The velcro was placed according to where it was on the pocket piece. This is the front of the pocket. It is 10X15 inches. 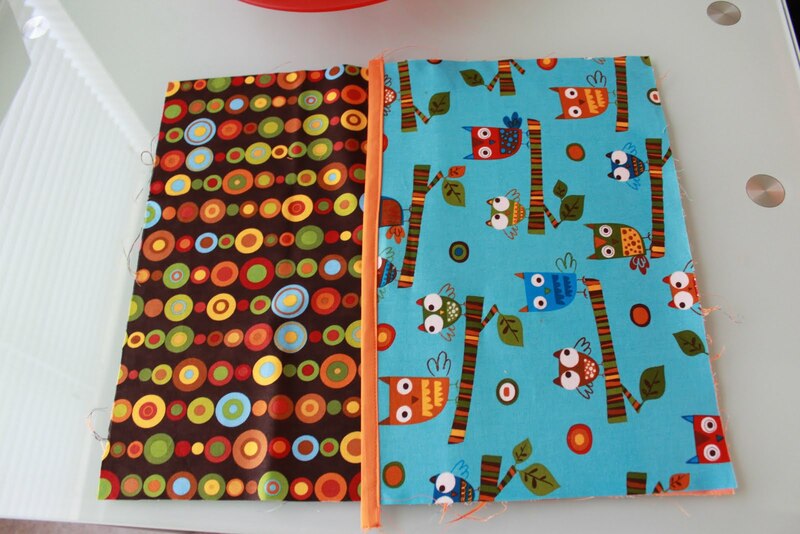 I used double sided interfacing to fuse the liner to the outside. and edged it with some 1/2 inch bias tape that I made. 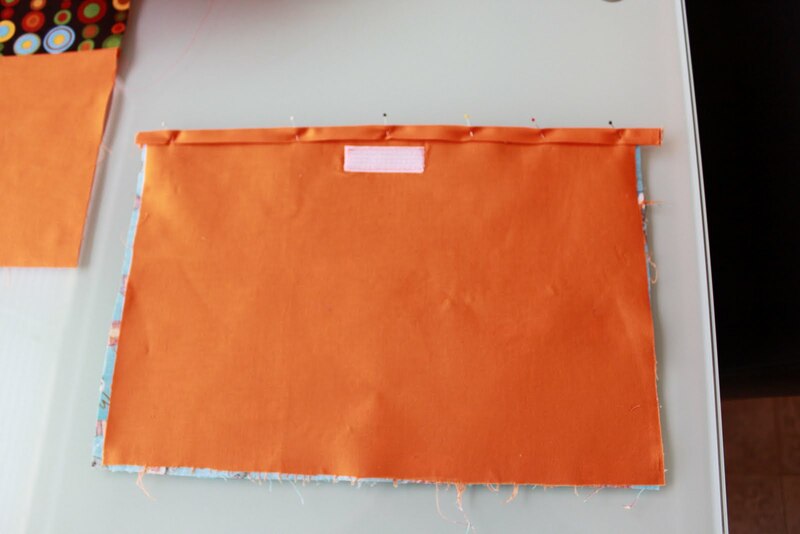 The velcro is sewn to the inside pocket fabric only. 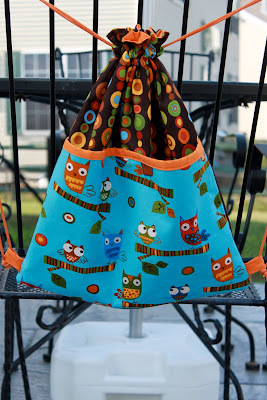 Here is the front of the bag before I sewed the back piece to it. Instead of khaki pants, I used espresso fabric for the back. 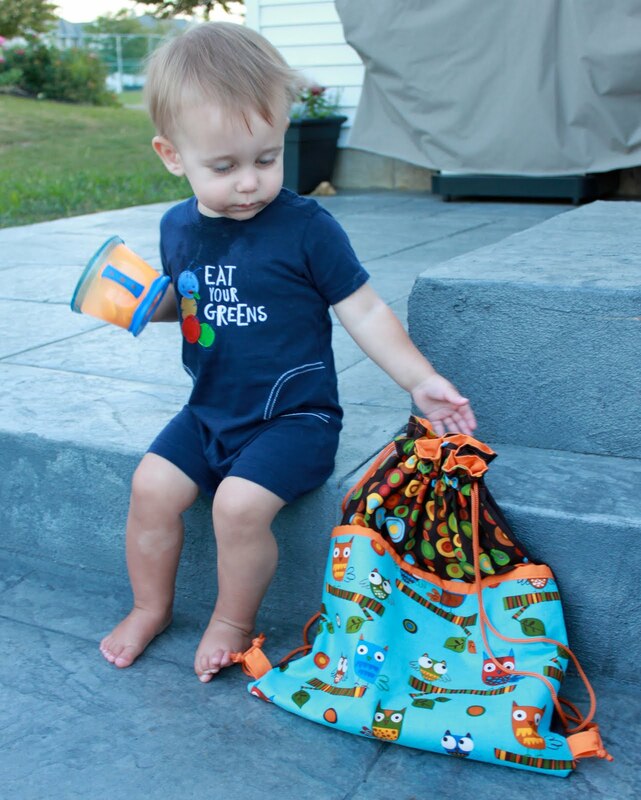 So cute and so is the bag! Great idea with the pocket! 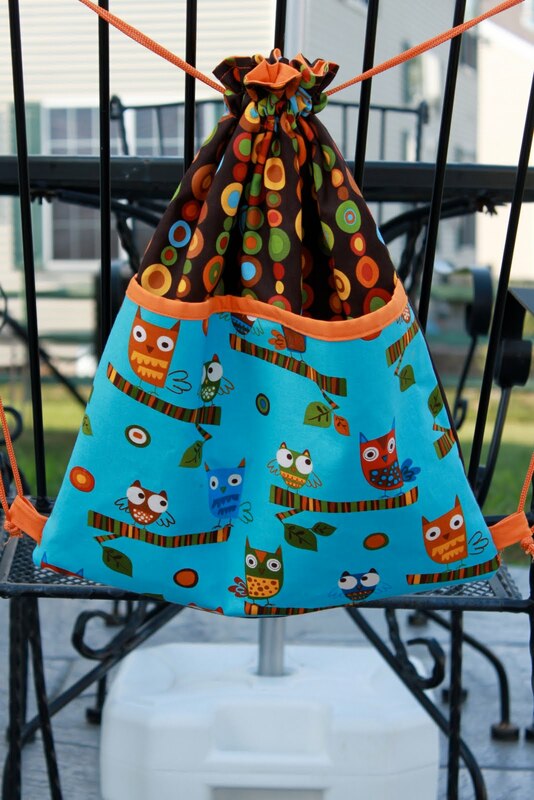 Thanks so much for sharing with me :) I heart the owl fabric as well.